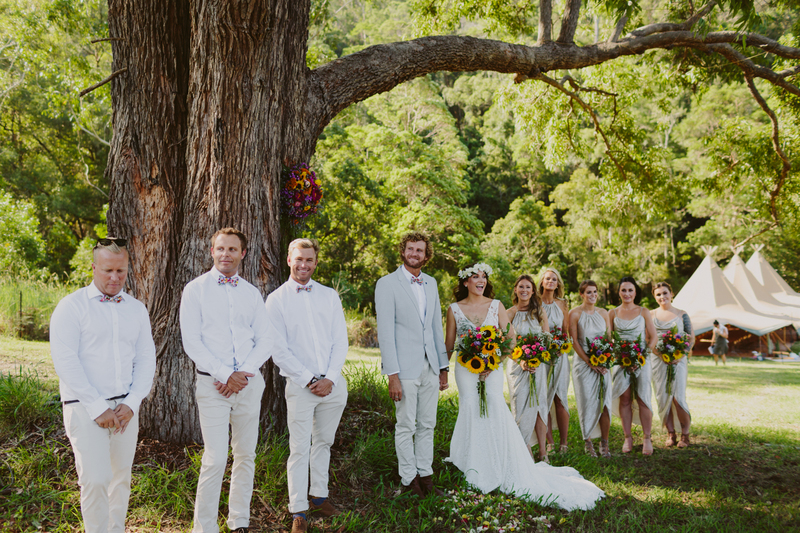 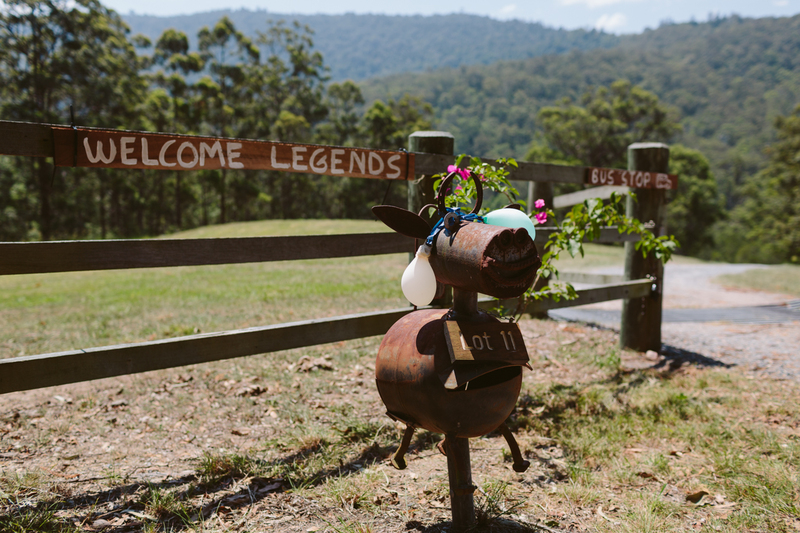 Jay and Kate tied the knot on a magical New Year’s Eve at The Farm in Numinbah Valley. 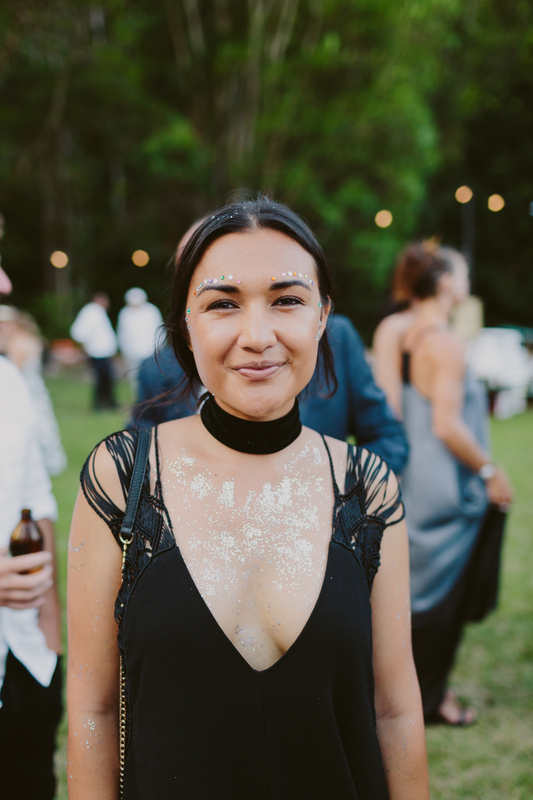 This fun-loving couple drew on inspiration from their favourite festivals and created an extraordinary celebration adorned in glitter, gold, glow sticks and an abundance of good vibes. 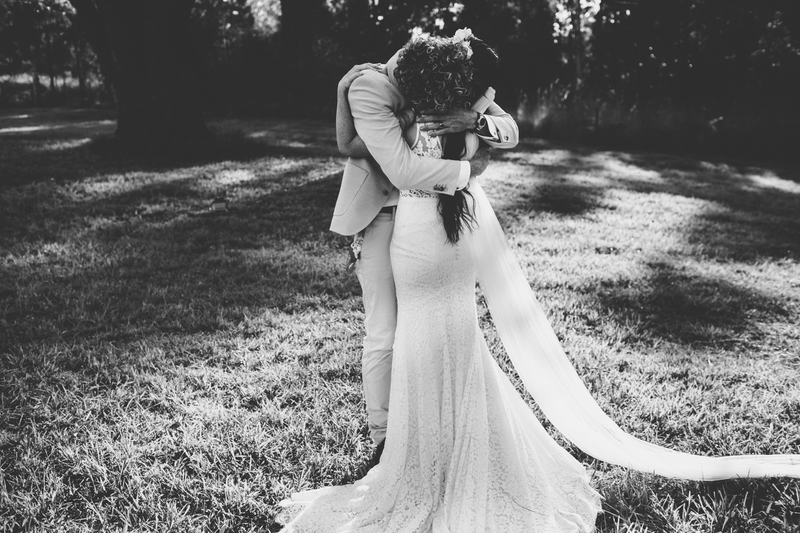 It was such an incredible way to bring in the new year and celebrate the marriage of this amazing couple! 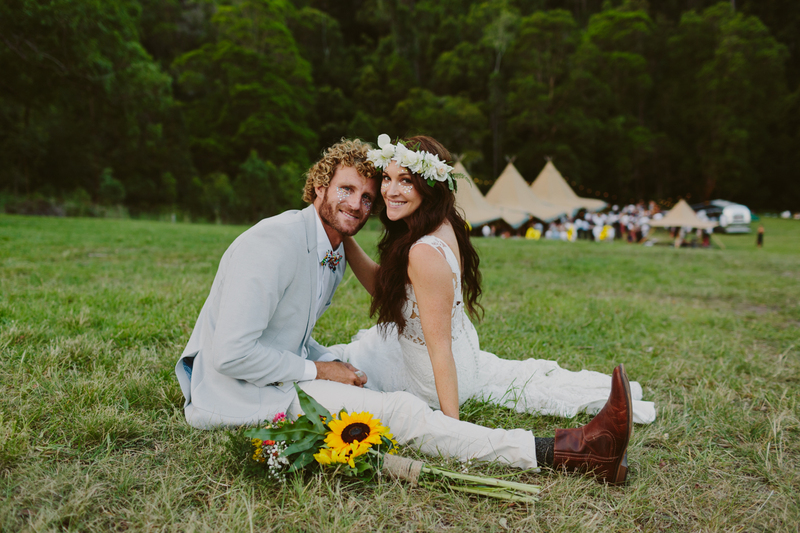 Jay and Kate’s wedding reception was held inside an enchanted tipi village, with 3 Kata Tipis illuminated by festoon and fairy lights. 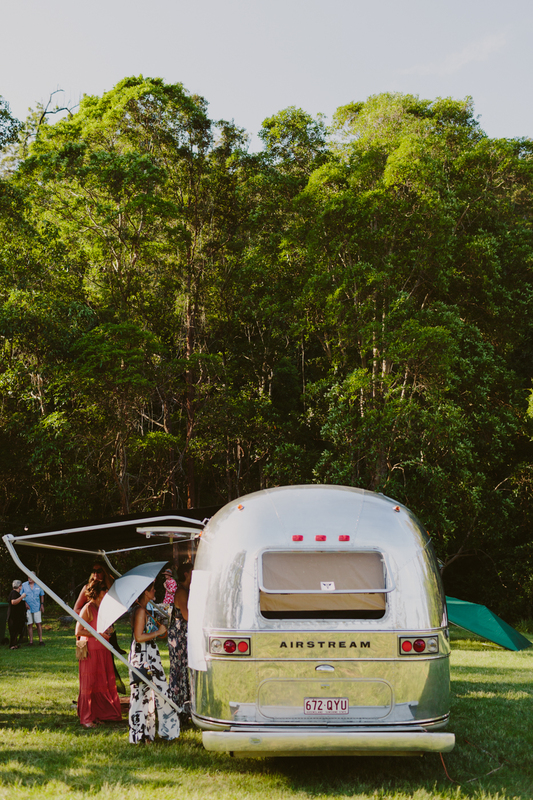 Guests were treated to authentic Italian antipasto and wood fired pizzas, and served drinks from the amazing Austream Affairs 1972 Airstream vintage caravan. 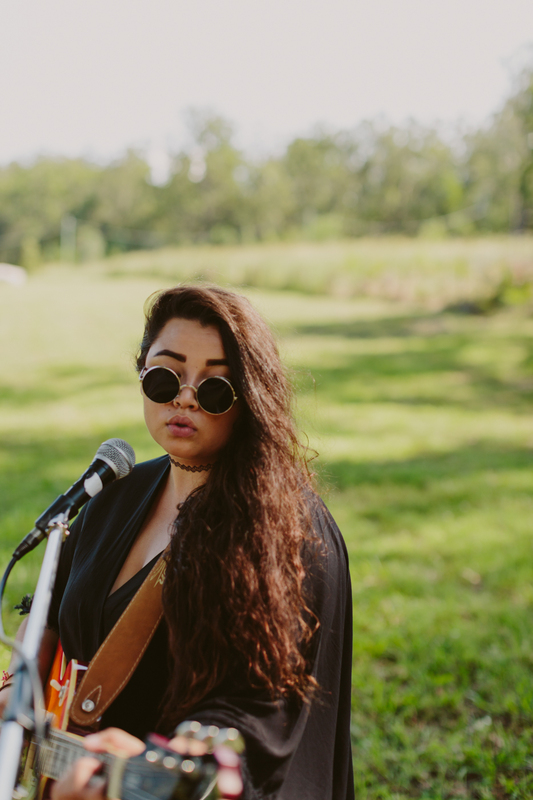 Sweet festival vibes continued throughout the evening, with live music from the brilliant Lily Budiasa, tunes from well-known local DJ Little Fritter and a cameo set from Daft Punk! 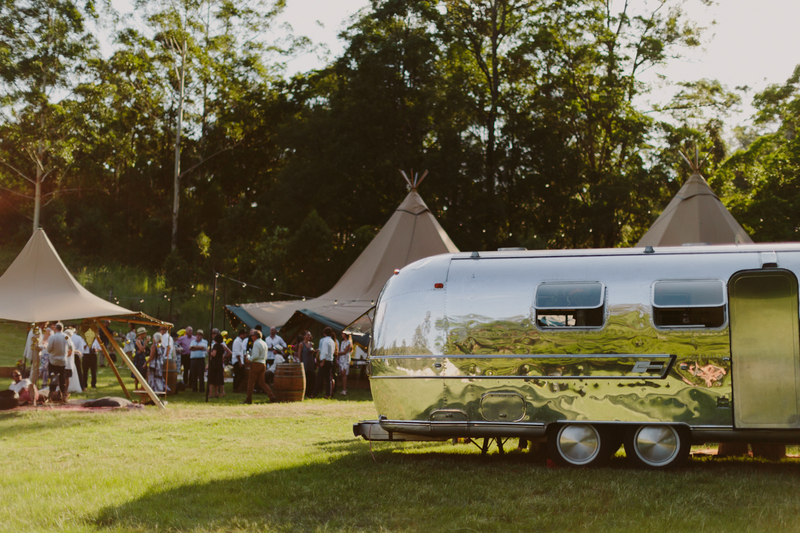 As the festivities came to an end guests retreated to their fully furnished glamping tents, to wake in the morning to recovery celebrations, coffee and Berocca by the dam, served from the Airstream caravan. 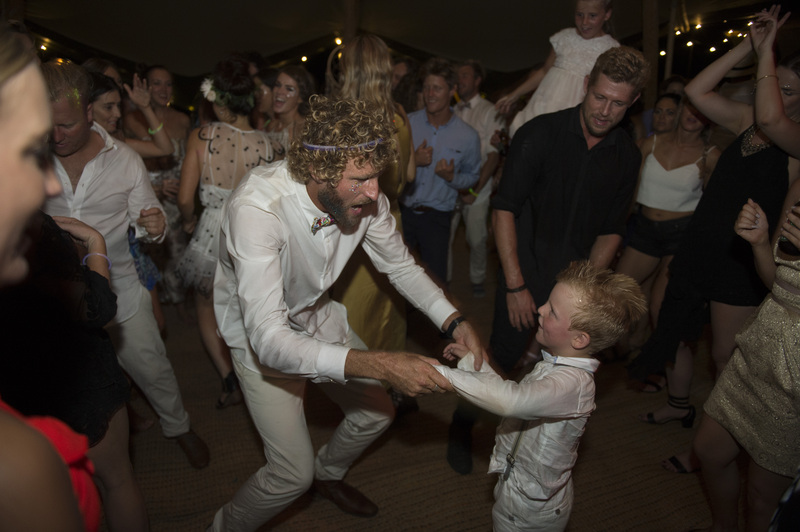 For Jay, Kate, and their family and friends, this was definitely a New Year’s Eve like no other! 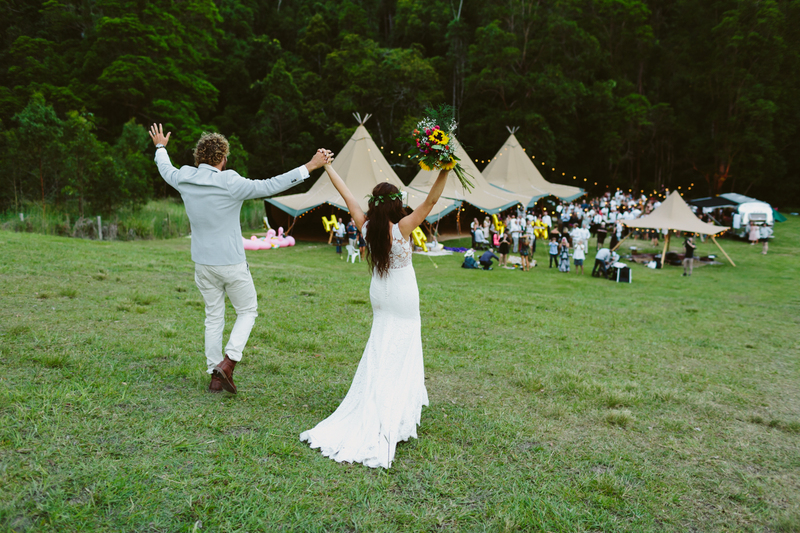 What made you choose tipis for your wedding? 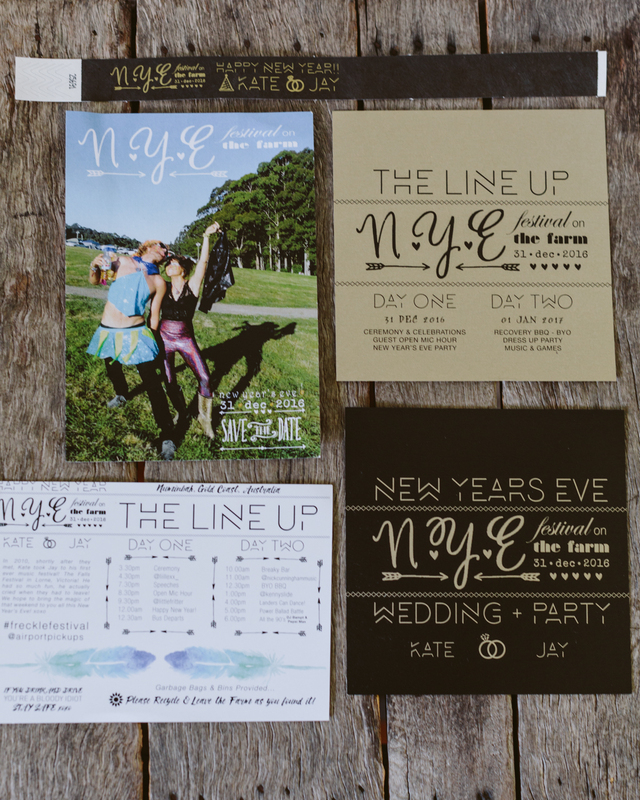 We wanted to create a New Years Eve festival and party experience for our friends and family. 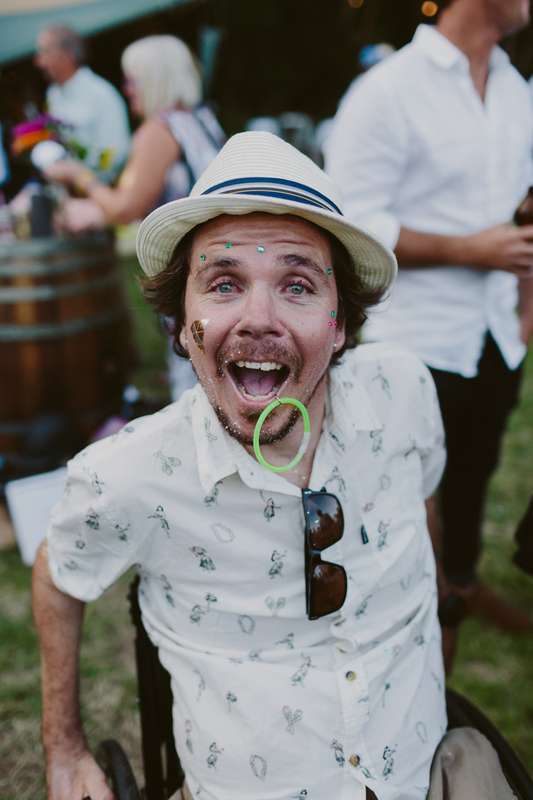 We wanted them to have as much fun as possible (as is tradition for us, always attending a festival on New Years Eve). 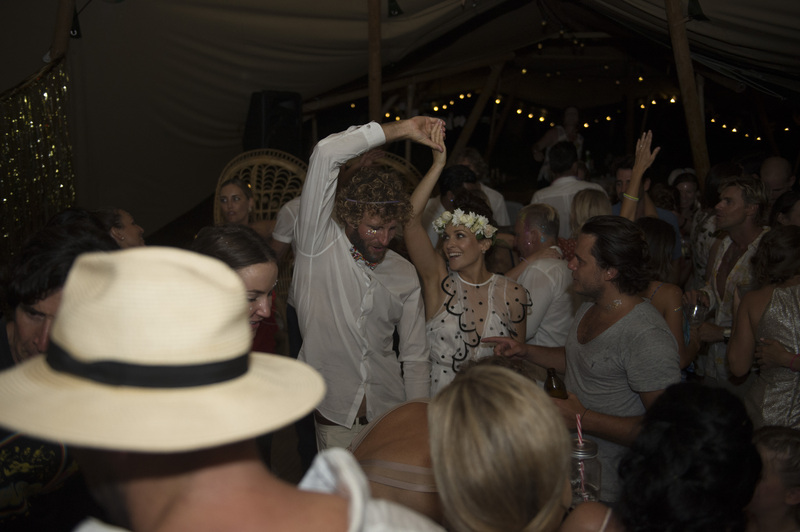 The tipis seemed to be the only option worth considering. 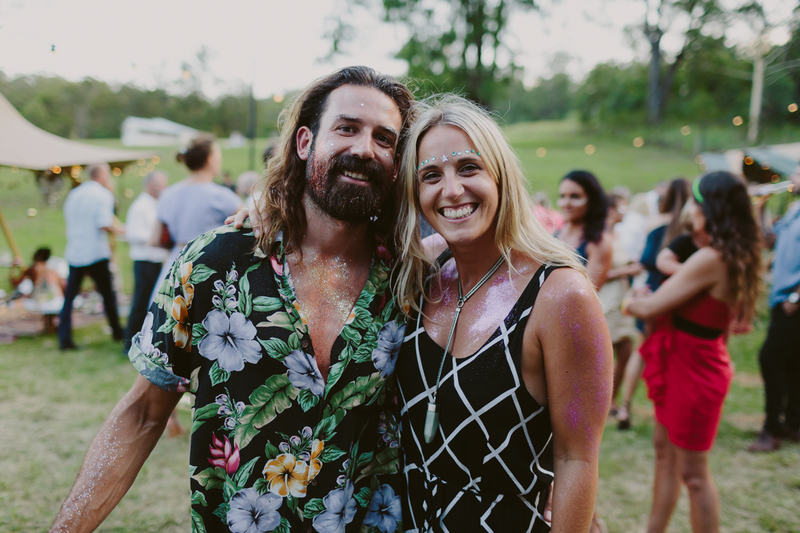 We weren’t interested in a typical white wedding, so having the opportunity to build an event from the ground up with the tipis, just like a real festival, is something we will never forget. 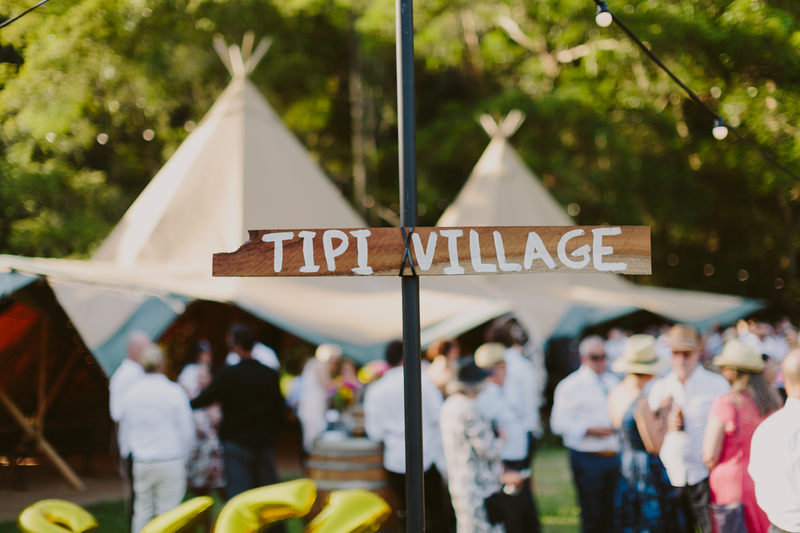 What advice would you have for people planning a tipi wedding? 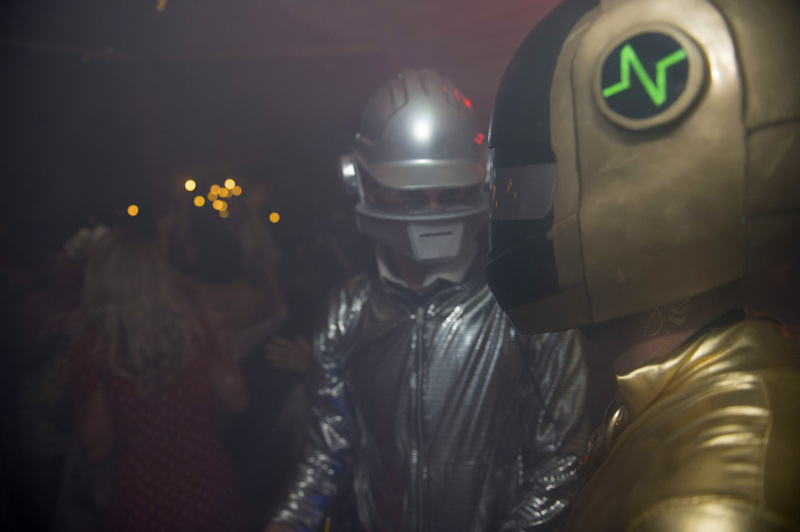 Make sure you plan out your budget and guest list before you commit! 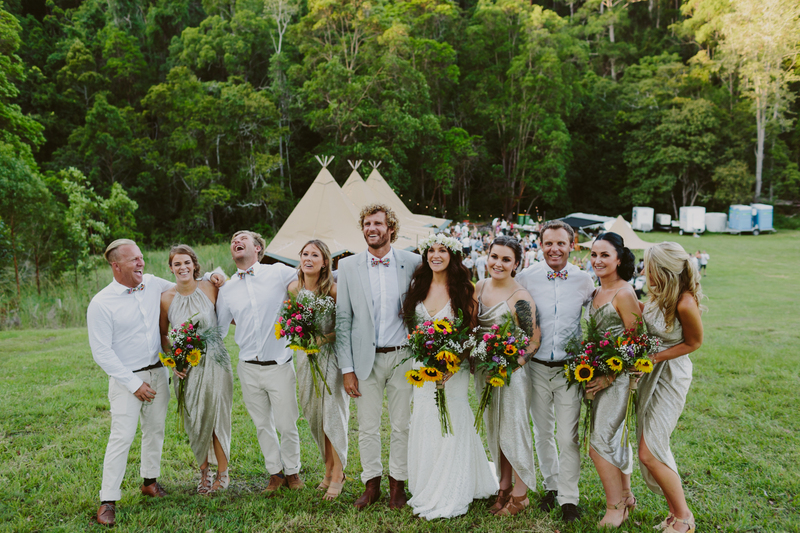 Definitely use the Gold Coast Tipis DIY Wedfest checklist! 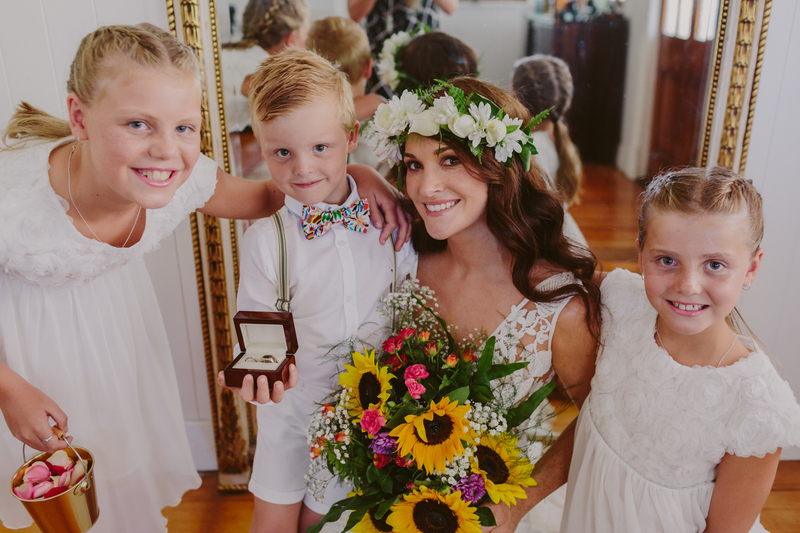 It will give you a run down of everything you need and help you plan everything! 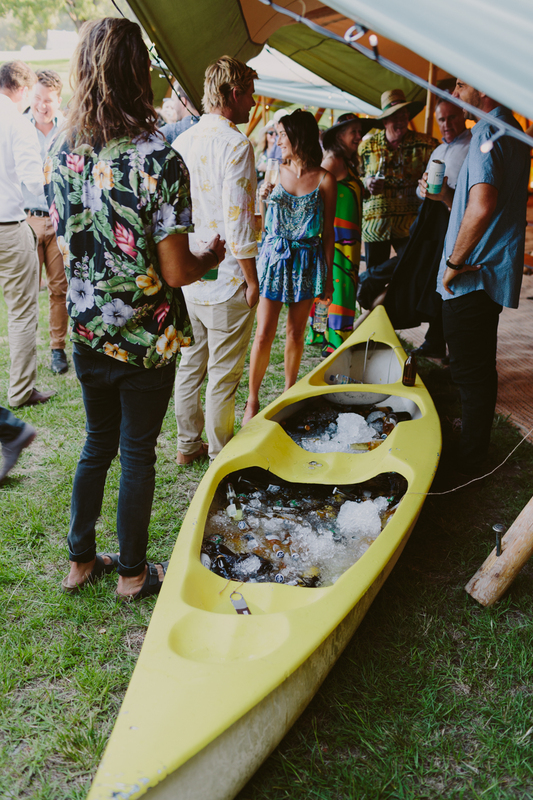 It was super helpful for us. 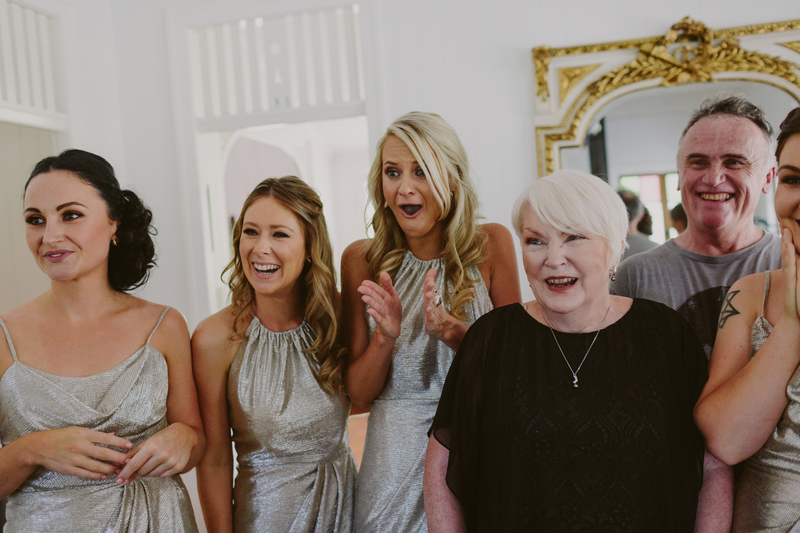 I found other wedding organisers had so many lists of things that they were overwhelming. 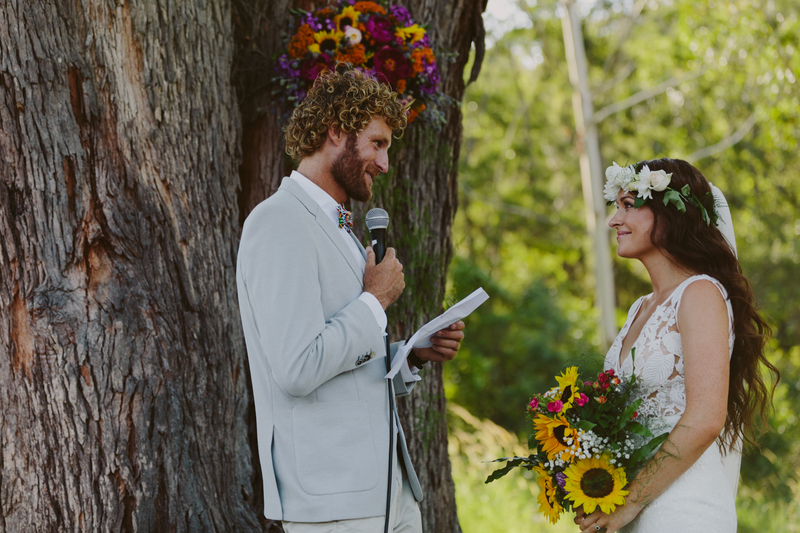 The wedfest checklist was simple and straight to the point. 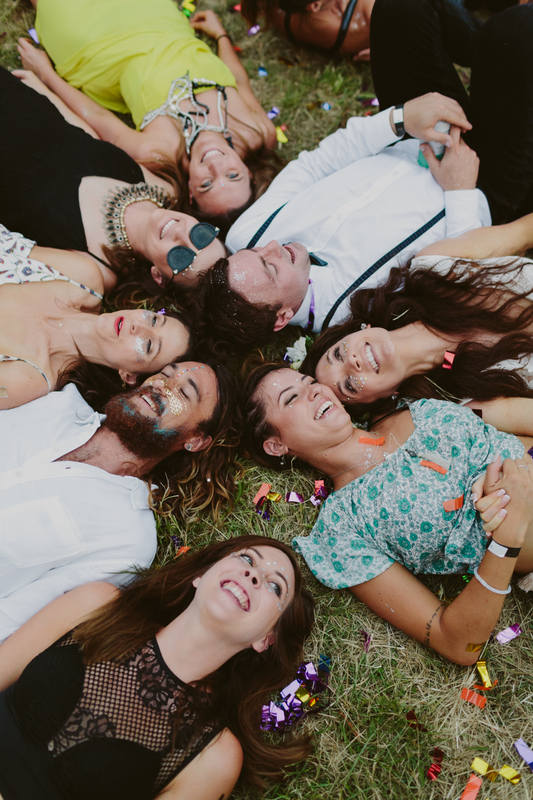 Also, to really ensure you can relax and enjoy your wedding on the day – make sure you splurge on an event manager and/or on the day co-ordinator. 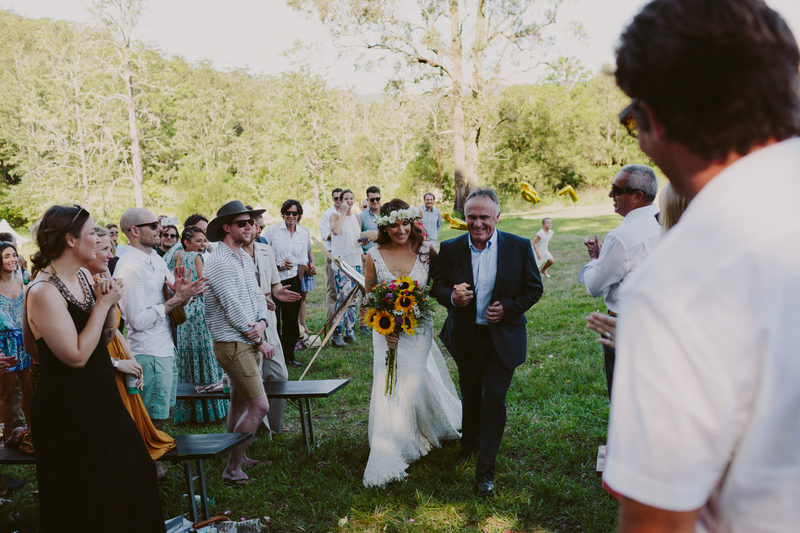 Especially at a venue like The Farm, which is so huge and there are so many elements to consider before, during and after your wedding. 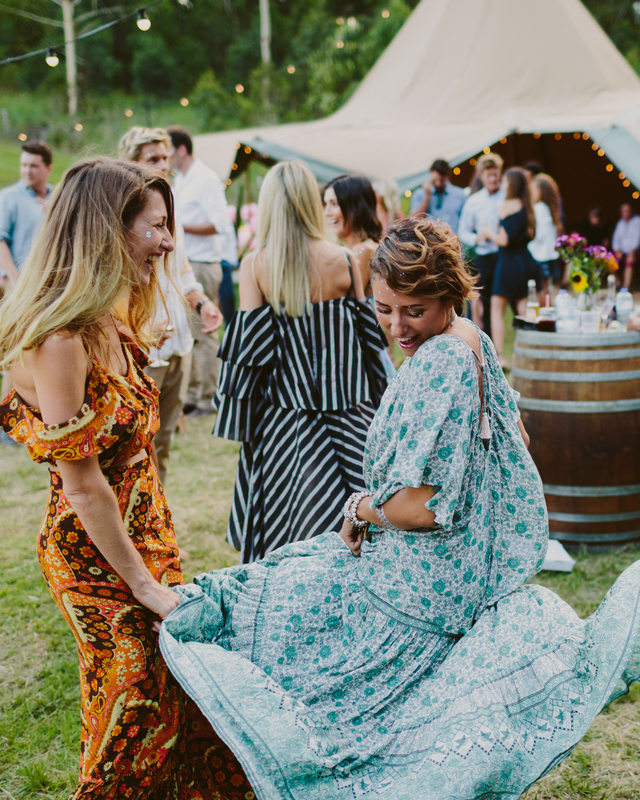 Which styling tips are a must for tipis? 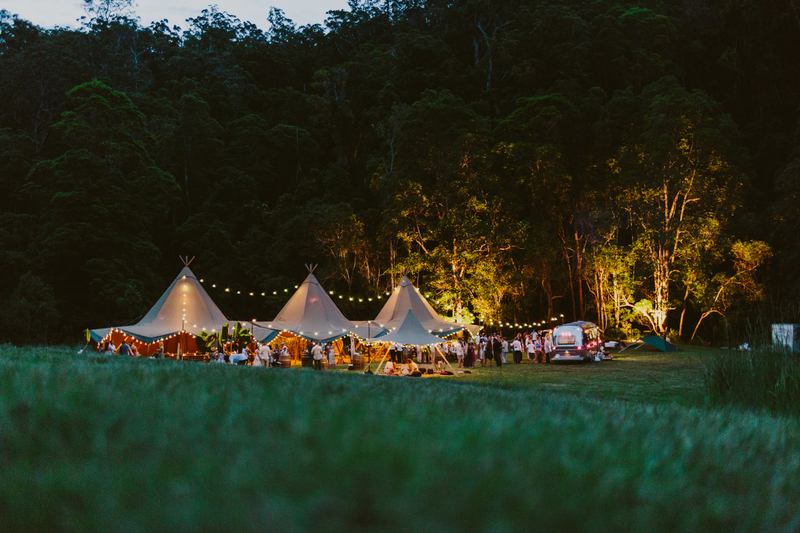 The tipis are so beautiful on their own. 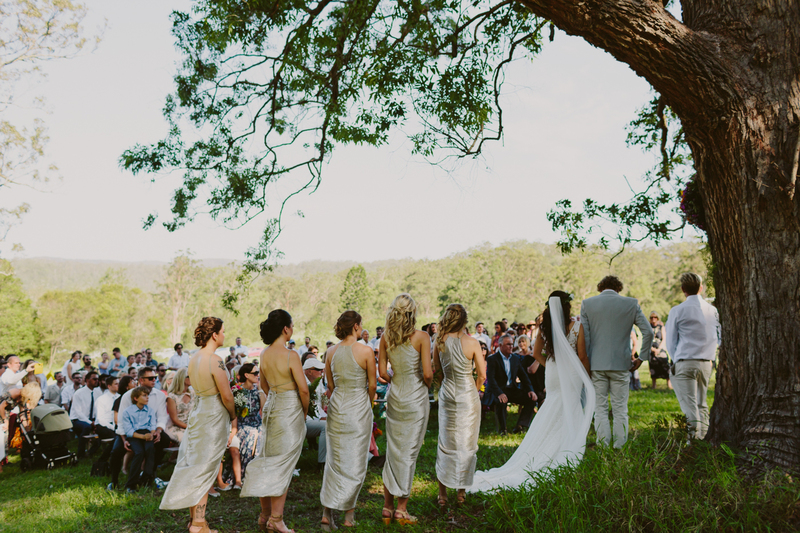 They are such majestic structures and they honestly look incredible in any Gold Coast or Hinterland setting. 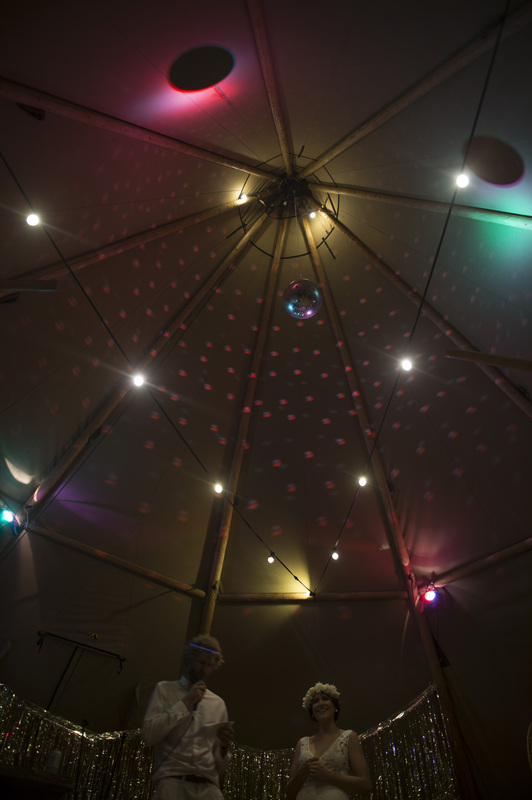 We knew with the tipis, lighting and silver caravan bar that the set up would look great without too much fluff. 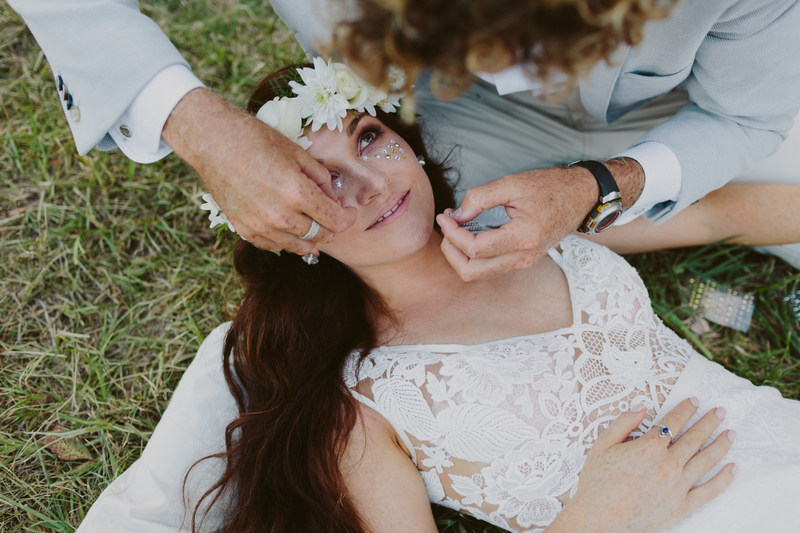 We kept it simple with fun native florals, lots of greenery and a bit of glitter to top it off! 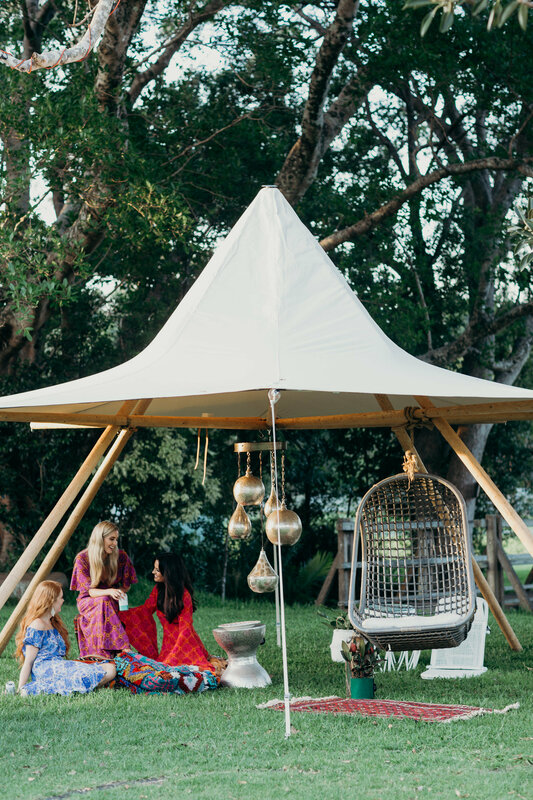 My favourite addition was the small tipi covered in fairy lights under which we made a seating area of rugs and pillows – this was such a cool little chill out zone for guests to hang out in during the evening. 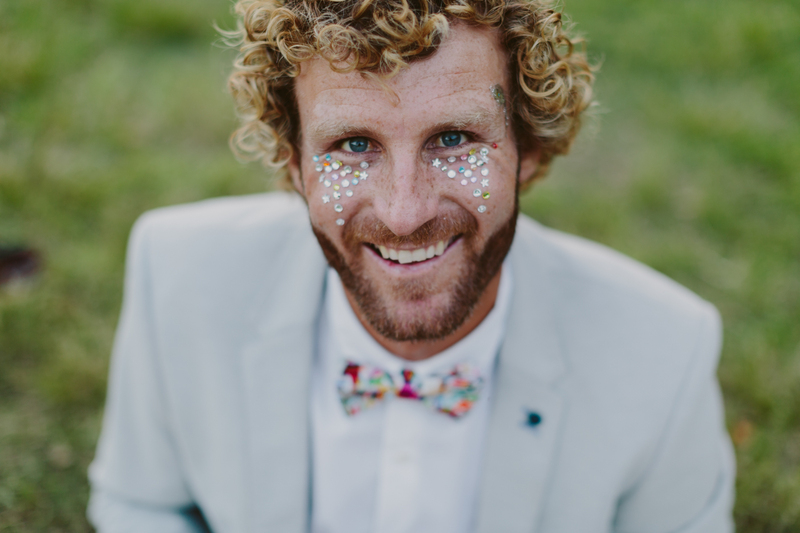 Please describe your overall experience with having your reception with the tipis? 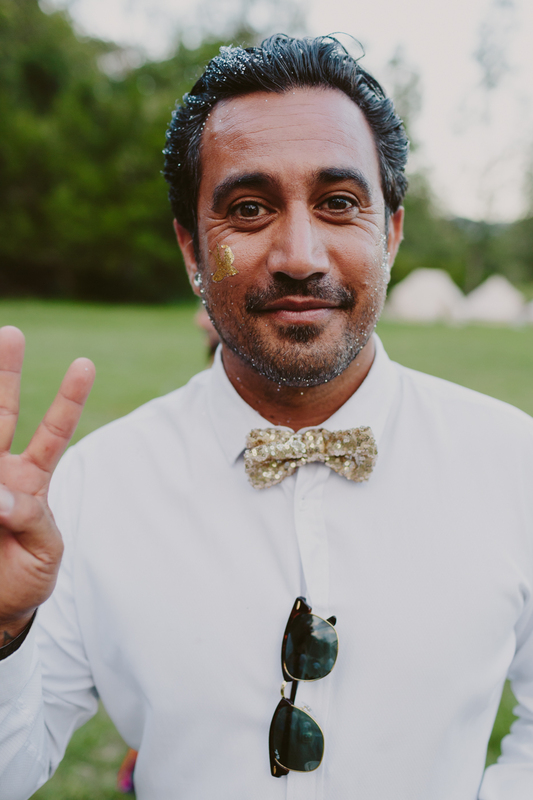 A lot of hard work went in to creating our tipi festival wedding – the site was an empty green field two days before the wedding, but it was so worth it. 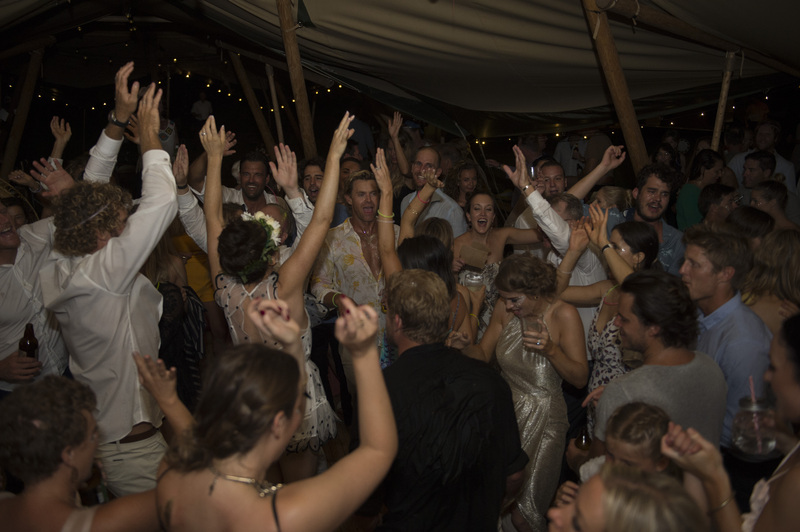 As the sun was going down we could hear all our guests laughing and having fun. 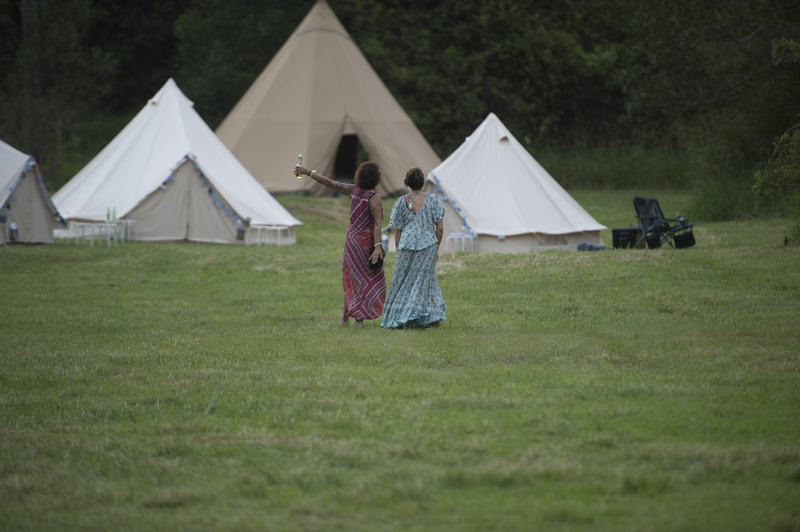 The music was pumping out of the tipis until the early hours of the next morning! 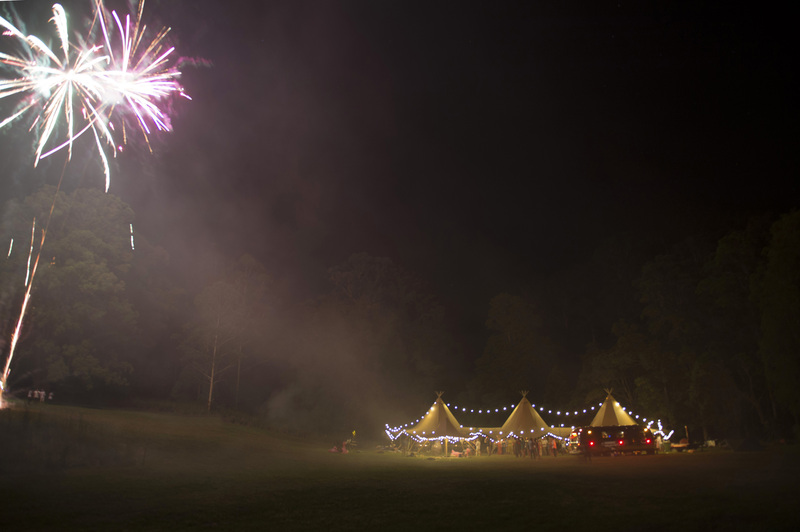 Another major advantage of hiring the The Farm was that there was absolutely no curfew or noise restrictions! 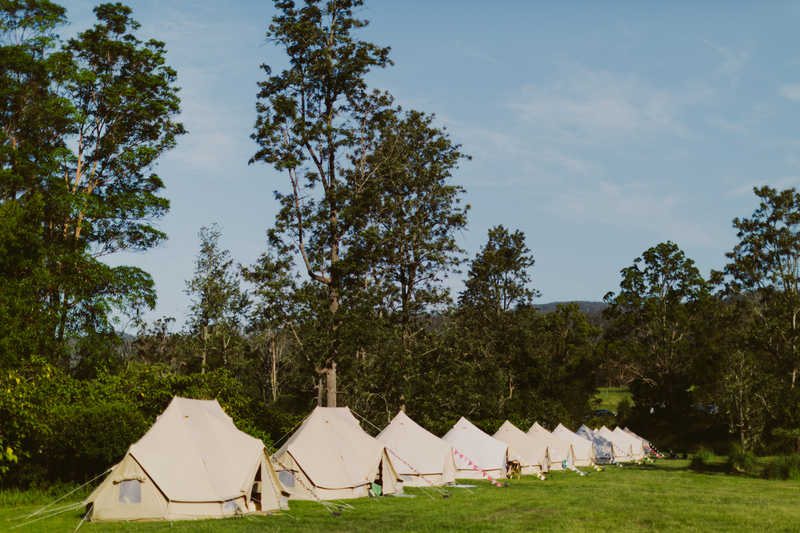 We spent the next day swimming in the dam and recovering under the shade of the tipis! 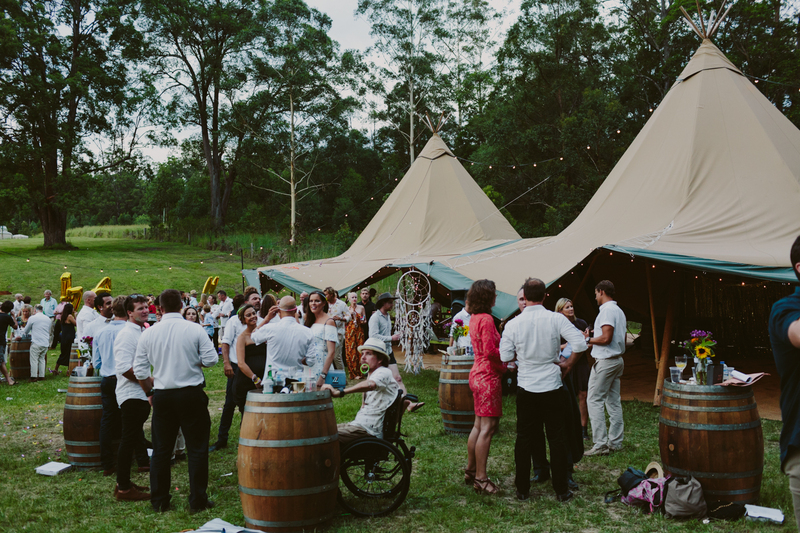 The whole feeling of the event would not have been the same without the tipis. 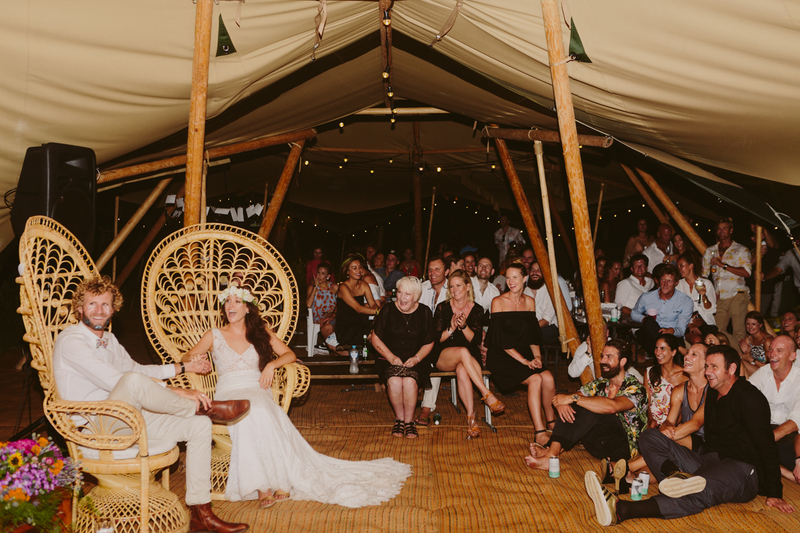 Thanks so much Benn & Hannah from Gold Coast Tipis, we feel so lucky a blessed to have these memories of the wedding festival you helped us create… can we do it all over again now please! 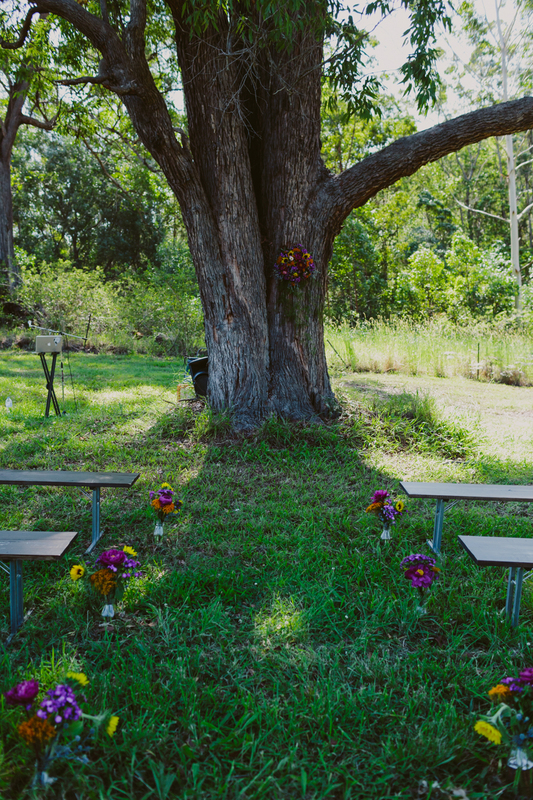 Please see video highlights here.